Satavahana University is published the Degree B.A., B.Com, B.Sc 1st Year, 2nd Year and Final Results today i.e., on 03 May 2016. Satavahana University Degree Results 2013 by Manabadi and Schools9 were provided here to check online. The Examinations of Satavahana University Degree were conducted in Feb / Mar 2016 by the University. We are here providing the Satavahana University Degree / UG All Courses All Subjects and All Years Results Student Name Wise and Subject wise here. You will get here Satavahana University Degree Subject wise Marks 2016 from here. Below we are providing the Result links to check the Satavahana University Results. 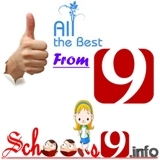 We are providing here various links to check online Results of Satavahana UG Examination.